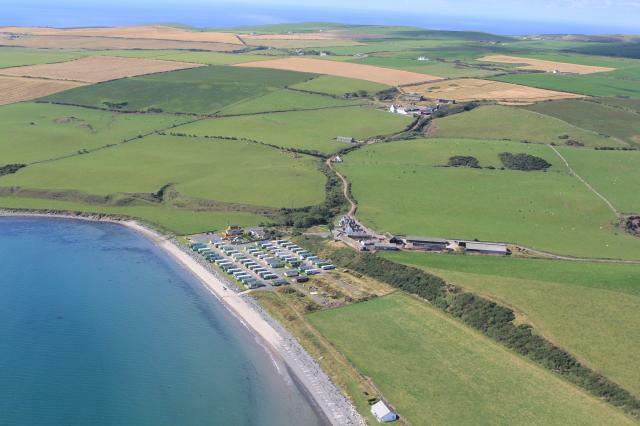 Maryport Holiday Park is owned by McNicholl Leisure Scotland Ltd part of a family run business since the 1970's. It is situated directly on the waters edge 2.5 miles north from the Mull of Galloway the most southerly point in south west scotland. We are 1.5 miles from the small village of Drummore where there is a well stocked shop, a post office and a few public houses with resturants. We are 18 miles from the town of Stranraer where you will find larger supermarkets and various shops, the ferry terminal for trips accross to Ireland.The train station for trips to Ayr or Dumfries. The Ryan centre in Stranraer has a swimming pool, exercise gym and a cinema. The holiday park is ideally placed for fishing, walking and golf or for those that just want to relax in the peace and quiet listening to the sound of the waves against the waters edge..If you like to venture away from the Holiday Park you can visit the Mull of Galloway light house where the views look across to the Isle of Man and Ireland, taking time to visit the Gallie Craig coffee house whils't there . Following the coast will bring you to the the small village of Port Logan where they filmed the tv programme 2000 acres of sky or visit Logan Botanic Gardens, carrying along the coast will bring you to the small harbour village of Port Patrick.